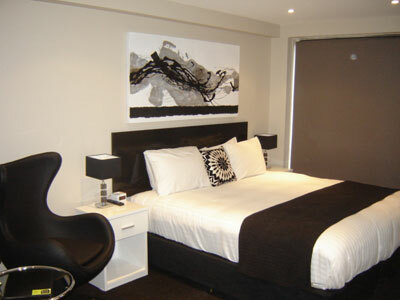 Apartments on Chapman offers the newest serviced apartments in North Melbourne. Located on 76 Chapman Street (one street behind Flemington Rd) on the Melbourne City fringe, Apartments on Chapman offers the ideal location for business or leisure with great accommodation deals and offers. Easy access to Melbourne city on a 5 minute tram ride being only 2 kilometres away from our North Melbourne accommodation apartments. Guests can request to book our limited off street parking at time of booking. Select from various types of serviced apartments at Apartments on Chapman Studio Apartments with King bed, full kitchen, LCD TV great for corporate executives on a business trip or for leisure stay; One Bedroom Apartments with self catering full kitchen great for couples or family of three; or our fully self contained Two Bedroom Apartments with full kitchen and laundrette facilities suitable as a family accommodation. 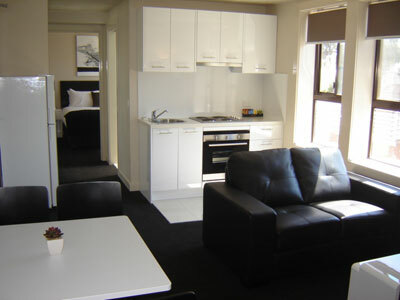 Studio serviced apartments in North Melbourne furnished with King bed. Enjoy the convenience of these self catering serviced apartments with full kitchen equipped with cooking stove, oven, microwave and full size fridge. One bedroom apartment with Queen bed, full kitchen, washing machine and dryer, LCD TV in bedroom. 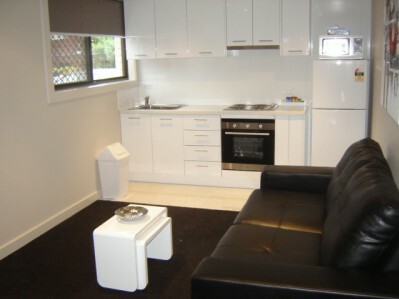 Fully self contained apartments accommodation North Melbourne, suitable for couples. Two bedroom Apartments with Queen bed in main bedroom and 2 x single beds in second bedroom, full kitchen, washing machine and dryer, LCD TV/DVD in bedroom. Suitable as family accommodation or friends travelling together. Long term accommodation available.